Zara Liew at HIV Glasgow 2018. Image credit: HIV Glasgow. Antiretroviral treatment with a boosted protease inhibitor and one other drug is just as effective as three-drug antiretroviral therapy containing a boosted protease inhibitor but results in fewer treatment discontinuations due to side-effects, a meta-analysis presented at the International Congress on Drug Therapy in HIV Infection (HIV Glasgow) shows. Treatment with a two-drug combination of generic antiretrovirals could significantly reduce the cost of treatment for previously untreated people and for people already virologically suppressed on a three-drug regimen. The meta-analysis found no difference in outcomes between people starting treatment and people switched from a three-drug regimen. Over the past five years a series of clinical trials led by Professor Pedro Cahn in Argentina and physicians in Europe have investigated whether treatment with a two-drug regimen of a ritonavir-boosted protease inhibitor and a nucleoside or nucleotide analogue, either lamivudine or tenofovir, is as effective as treatment with a three-drug regimen containing a boosted protease inhibitor. The studies have tested boosted lopinavir, atazanavir or darunavir and all showed that two-drug therapy was not inferior to three-drug treatment. However, the small size of some of the studies mean that confidence regarding the equivalence of the two treatment strategies has been low, in statistical terms. The studies included 1635 people, 603 of whom were starting treatment for the first time (three studies). The pooled analysis showed that 83.6% of those who received dual therapy had a viral load below 50 copies/ml at the end of the follow-up period (either 48 or 96 weeks), compared to 80.6% of those randomised to three-drug therapy (risk difference +2%, 95% confidence interval -2% - +6%). There was no significant difference in the proportions who experienced virological failure while taking a two-drug or three-drug regimen (5% vs 4.5%), nor in the proportions who developed drug resistance after virological failure (0.7% in each group, all developing the M184V resistance mutation that confers resistance to lamivudine or emtricitabine). In the six studies in which lamivudine was the second drug (the KALEAD study used tenofovir with lopinavir/ritonavir), significantly fewer people discontinued treatment due to adverse events in the two-drug arms (1.6% vs 3.1%, risk difference -1%, 95% CI -2% - 0%, p = 0.04) but when data from the KALEAD study were included in the meta-analysis the difference ceased to be statistically significant (2.4% vs 3.6%, risk difference -1%, 95% CI -2% - 0%, p = 0.06). “Our results question why we are still using protease inhibitor three-drug regimens when two-drug regimens are as effective, as safe and cheaper,” said Zara Liew of Imperial College, London. She pointed out that darunavir/ritonavir plus lamivudine has the potential to be much cheaper than either a three-drug regimen or a two-drug regimen containing dolutegravir. Whereas dolutegravir/rilpivirine (Juluca) costs around £8500 a year in the United Kingdom and dolutegravir/lamivudine costs £6186 (based on the list price of the individual drugs), darunavir/ritonavir plus lamivudine costs £3942 a year and the cost may fall further as generic versions of darunavir/ritonavir become available over the next few years. In Argentina, for example, a generic version of darunavir/ritonavir costs less than £700 a year. The study has several limitations, she said. The results are not generalisable outside Europe and the Americas, since all the studies were conducted in these settings. All the switch studies were conducted in people previously treated with a three-drug protease inhibitor regimen and with no previous history of treatment failure. Of the protease inhibitors used in the seven studies included in the meta-analysis, only darunavir/ritonavir is still recommended as an option for first-line treatment in European and US guidelines. Lopinavir/ritonavir and atazanavir/ritonavir are no longer preferred options owing to a higher frequency of side-effects of each drug. Liew Z et al. Dual therapy with PI/r+3TC or PI/r+TDF shows non-inferior HIV RNA suppression and lower rates of discontinuation for adverse events, versus triple therapy. Meta-analysis of seven randomised trials in 1635 patients. 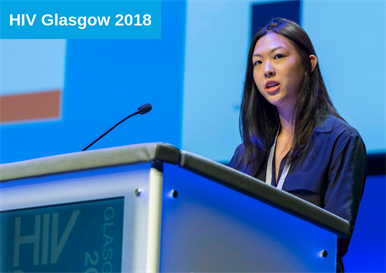 International Congress on Drug Therapy in HIV Infection (HIV Glasgow), Glasgow, 2018, abstract 0144.